I had missed the Jan. 9 announcement from Pacific Power. But a reader’s email expressing concern, and then a story I happened to see in The Bulletin newspaper of Bend, prompted me to ask the utility what was going on. Pacific Power spokesman Tom Gauntt in Portland promptly provided answers. 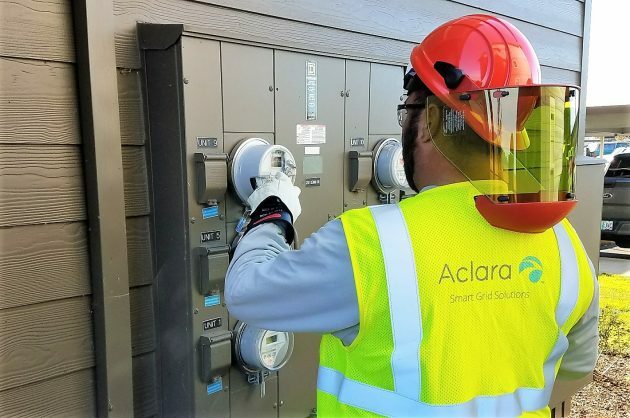 In short, starting in Independence this month, and in the mid-valley beginning in February, the utility is replacing 590,000 electric meters in Oregon with new digital smart meters. By means of low-frequency radio, these two-way communications devices send information on electric use to the utility, doing away with monthly meter readings. They also instantly track outages, Pacific says, allowing a faster response to make repairs. Installation of the smart meters is scheduled in Lebanon from Feb. 19 to March 9, in Sweet Home on March 5-16, in Albany from March 26 to April 27, and in Corvallis from April 23 to May 25. In Pacific’s other Oregon service areas, the installation is planned through this year and next, ending in Pendleton and Enterprise toward the end of August 2019. Where to buy Viagra online no prescription, visit this page http://howmed.net/viagra-sildenafil-canadian/ and choose the best offer. You don’t actually have to accept a smart meter, but opting out costs extra. Pacific says it will charge a one-time fee of $169 for postponing the installation, plus $36 a month to cover the cost of having someone reading the old meter in person. The extra charges were approved by the Oregon Public Utility Commission. But getting a smart meter costs customers nothing. At least in my SW Albany neighborhood, NW Natural has had reader-less (smart?) meters for several years now. Will they at least be knocking on the door of the residences when they swap the meters? I hadn’t thought about the fact that they could detect outages automatically. That’s pretty neat. I already have a smart meter – presumably because they’ve been adding them to new construction/rewiring jobs for a while now. My water meter has a wireless bit attached to it, but I believe it still requires a person to walk up to it to read it (near field communication?) I imagine that the folks doing meter readings on foot can be re-trained to do other maintenance tasks. How many meter readers does Pacific Power employ? Do they exclusively do meter readings or is that just one of their tasks? As for the woman concerned with radio waves causing health problems, her concerns are misguided. There is no reason to be concerned about the RF output of any of the existing or soon to be constructed cell towers, not to mention existing radio and TV transmitters, wifi devices in everyone’s homes, satellites, and emissions from the rest of the universe. Radio waves are not some sort of invisible boogey-man, and they aren’t making us sick. The meter you have now is a radio frequency meter. That signal is picked as the meter reader walks by or drives by. It will be replaced with a smart meter that will be read from the office. Meter readers soul job is to read. They will not be retrained. They will all be laid off. There are currently approximately 20 that cover albany and surrounding areas. That does not include Portland and areas down south. Aclara will knock on the door but if you are not home, they will switch it anyways. Hope this answers your questions. Sincerely, your local meter reader (for now). I missed the article in the D-H also about this (and never read the inserts in my monthly billing). Does this entail a power outage to install the new meter? Also, I’ve been keeping my gate locked ever since the Albany police posted a reader board about thefts in the neighborhood (The PP meter reader reads it over the gate). Will the contractor knock on the door? I have a dog, though the dog is very friendly. Last year NW Natural came by to work on their meter but didn’t let me know and did not close the gate after themselves. I thought it was a burglar till i found a small piece of electronics the gas meter repairer left lying on my trash can. The changeout should be uneventful unless there’s a problem with the meter-base. Thanks for this article! I also missed the announcement. Who knows what the long term effects on nature and humans will be as the ocean of our artificial electromagnetic networks we generate and live in gets more complex and thicker with increased signals. I feel for those whose nervous systems are more sensitive to electromagnetic pollution. Thanks for the links, Tara and HowlingCicada. The FAQ site had info on opting out. The Luddites out there should contemplate what life would be like without the technology we enjoy today, then go move into the deep woods somewhere where they can be happy and leave the rest of us to the benefits we have. I am absolutely furious about this MANDATORY smart meter installation. And how dare they put something on my property without my consent. I am on a fixed income and cannot afford to pay more for power. I DO NOT WANT THIS THING ON MY PROPERTY!!! Find a few YouTube videos on Smart Meters where they use a EMF of EMR meter to read the constant output of radiation. They are really high. You can see it on the meter. It is not some tinfoil hat wearing person’s opinion. You had better make sure that your child’s bed is no on the other side of the meter or they will be getting direct radiation to their brains through the wall. There is no sure thing as a safe level of radiation. We are in an ocean of electromagnetic radiation as it is with cell towers and cell phones. It is not safe and has not been tested. Just remember that the fewer tests they do, the less liability they have. Remember that it was documents that they found later about the tobacco industry knowing that smoking caused lung cancer that made many lung cancer cases qualify for litigation with very high settlements. Where are my rights not to be radiated? I am sooooooooo mad about this. It just makes for less jobs in the city and totally disregards the safety of the residents of this town. I am sure that our City Council will embrace and beg for 5G towers as well for some more revenue at the cost of the prople’s health. Second worst is probably the microwave oven, depending on how good the door seal, and once again, how close to you. We’ve used these two gadgets long enough to know if they’re safe. Those who want to know the answer will look at the number and quality of relevant studies. Those who only want to confirm their pre-existing beliefs will find find plenty of noise on the internet. You can make any meter read “REALLY HIGH” if you set it to a low enough scale. How about some “REAL NUMBERS” to show you know what you are talking about. BTW- Do you have any idea how much “radiation” you get from the sun? You can make the meter read “REALLY HIGH” there too. That’s when your cost per “unit” varies, depending on the total electrical use of “the grid”. Of course, that will include most of your waking hours. People on a limited budget will have to do laundry, bathing, cooking etc. in the wee hours of the morning or pay a higher rate to do it when “convenient”. And we all know who pays for the new meters, don’t we? We all know who will pay for new generating capacity if we DON’T have smart meters to provide the necessary incentive to balance supply and demand by time-of-day and load conditions. And we all know the magnitude of that cost. We all (well, some of us) know what fuel those new generators are going to use — coal, gas, and maybe oil. I agree with Bill Kapaun that demand pricing is inevitable, but I think it’s both necessary and good. It won’t be a purely day/night thing because the supply (especially with more renewables) will vary with sunlight, wind speed, and water behind the dams. The demand will also vary day-by-day. An increasingly important demand will be electric car charging which makes a lot of sense overnight. The only alternative is building more fossil-fuel and/or nuclear generators, or eventual rotating blackouts like we had in California around 1999. I lived through it. My workplace had about 15 minutes notice before being shut down for hours (in exchange for a lower rate).